Beef producers across seven Great Barrier Reef (GBR) catchment areas are invited to apply for positions in a transformational education, support and resource program worth $30,000 to assist in adoption of regenerative agriculture practices for greater land health and improved business performance. Fifty positions are available as part of the newly-extended Project Pioneer initiative, delivered by Resource Consulting Services (RCS) and funded by the partnership between the Australian Government’s Reef Trust and the Great Barrier Reef Foundation. 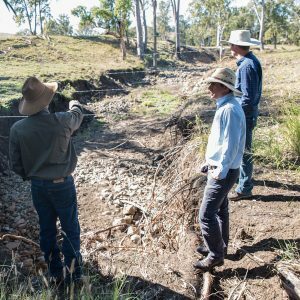 Round One applications for the 2019-2020 program close 30 April for producers in the eligible catchments of Johnstone, Herbert, Burdekin, O’Connell, Fitzroy, Burnett and Mary River. Find more information on applying here. Since its inception in 2016, over 150 producers have participated in Project Pioneer to develop their farm management capacity, grow property production, improve land condition and to build more profitable, resilient and future-focused operations. The newly-announced funding will also assist the ongoing support of these existing participants. RCS General Manager, Adam Curcio, said the program had the ability to empower beef producers to take control of the performance of their enterprises through an approach to management that is good for the environment and good for business. “Project Pioneer is highly important in its ability to help producers rethink on-farm management by demonstrating the connection between the ecological balance sheet of an agribusiness and its financial balance sheet,” Mr Curcio said. “Since its launch, the results achieved by participating producers have shown a healthy ecosystem goes hand-in-hand with a healthy beef operation, and this is something we should be singing from the rooftops and encouraging more producers to be a part of. “Our participants have achieved significant increases in ground cover, land health and production capacity through application of regenerative grazing practices including development of strategic water and fencing infrastructure, and a more considered approach to grazing rotation and feedbase management. 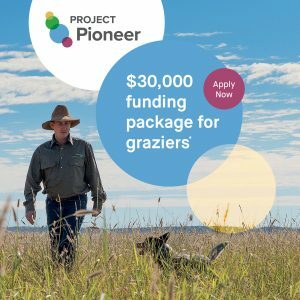 The Project Pioneer program includes participation in GrazingforProfitTM School and soil health workshops, one-on-one peer coaching, annual benchmarking and business analysis, annual on-farm consultations with RCS advisors, participation in local producer reference groups, property mapping, subscription to the Maia Grazing automated livestock decision support tool and 50% off subscription to the Farm Map 4D mapping tool. “We are delighted to, in conjunction with our funding and support partners, be able to offer the opportunity to participate in this important program to more producers to contribute to a healthier Reef, a prosperous beef industry and stronger rural and regional communities,” Mr Curcio said. Learn more about Project Pioneer opportunities here.